BestEARobots: FXAdept Forex robot real test. Vendor vs Private presron live account. 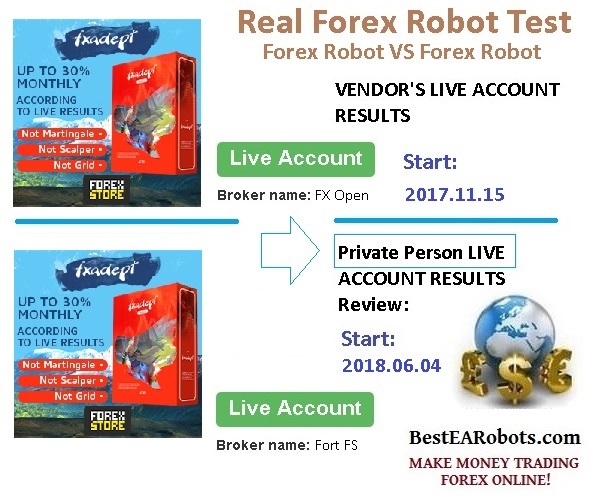 FXAdept Forex robot real test. Vendor vs Private presron live account.